To hit the gym or the bed, that’s the question. This is the 21st-century dilemma that many fitness enthusiasts and newbies face. Falling sick is not only unpleasant, but it also disrupts your daily routine. However, many fitness enthusiasts exercise even when they are sick as it helps them pump up some “feel good” hormones. Be that as it may, you must carefully decide whether to exercise or not when you are feeling under the weather. This post helps you do exactly that! Give it a read to find out if you should be exercising while sick – when it’s recommended and when it’s not. Swipe up! The answer really depends on how you are feeling and how sick you are. If you do decide to hit the gym, you need to figure out which exercises you can do that do not put too much strain on your body. If you do a heavy workout when your body is clearly not up for it, you may end up feeling worse. On the flip side, exercising can really help you and may even speed up your recovery in some cases. By the rule of thumb, you can exercise if you are experiencing symptoms above your neck, such as an earache, stuffy nose, or sneezing. Avoid working out if the symptoms are below your neck, like fever, nausea, or diarrhea. Check out the next section to know when you can exercise and when to avoid it. If you are suffering from an earache due to an infection or injury, it is a good idea to exercise. The dull pain that you experience in your ears may get subdued if you go on a walk or do other forms of exercise that will keep you distracted from the pain. Sometimes, severe ear infections can lead to fever, or you may experience an earache due to fever or a sore throat. In such cases, take rest and give yourself time to recover. Do not exercise as it will only worsen the condition. Sore throat is a symptom of flu, throat infection, or allergies. If you have a mild sore throat with no symptoms of fever, difficulty in swallowing, and excessive coughing, you can go ahead and hit the gym. Drink warm water and gargle twice a day to improve the condition. But if you have a severe sore throat and your doctor has advised you to take rest, avoid any form of exercise. If you have a mild infection in your throat and nose, you can safely do a few exercises and not disrupt your daily routine, especially if your symptoms include sneezing, a mild cold, and a stuffy nose. You may also feel weak and lack enough energy to hit the gym. In these cases, stay at home but do a few mild exercises to give your body that burst of energy. The distraction will be good and also help boost your immunity. A stuffy nose can give you a hard time. But if working out makes you feel better, go for it. The heavy breathing can help with your stuffy nose by clearing the airway. Avoid working out if you also have a severe sore throat and fever. Now, there are cases where it is best to take rest and get well before doing any physical exercises. To know when you should avoid exercising, scroll down. 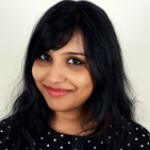 When Is It Not Safe To Exercise? Influenza is caused by a viral infection in the respiratory system. It is contagious, and the symptoms are chills, fever, fatigue, cough, and body ache. It is best to take rest and recover instead of going for a run or working out. 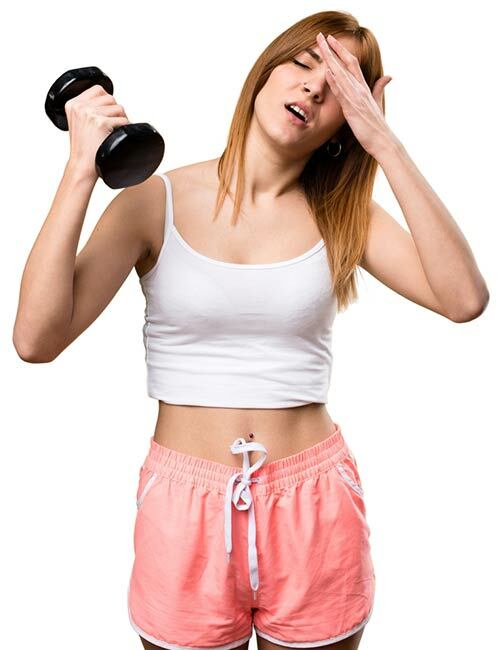 This is because exercising increases your body temperature, which will worsen your condition. Ate something nasty and now you have the stomach bug? Stomach cramps due to food poisoning, diarrhea, nausea, and vomiting can weaken your immune system and body. Staying hydrated, taking medicines, and getting some rest should be your priority now. However, if you must do some sort of exercise, do some light stretching and yoga at home. Do not push yourself too much. Just do what helps relax your muscles. Fever is caused due to a viral or bacterial infection. 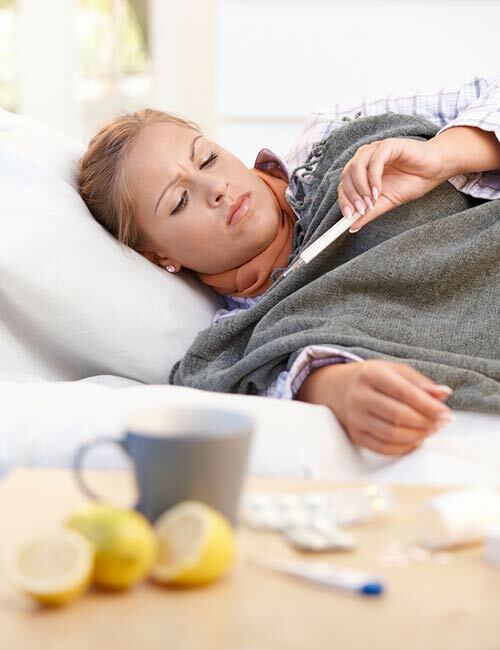 When you have a fever, your body temperature shoots up above the normal body temperature of 37?. As a result, your body becomes weak, and you lose appetite and suffer from body aches. In this scenario, you must take rest and medicines to recover fast. Exercising can increase the risk of injury and raise the temperature of your body further. 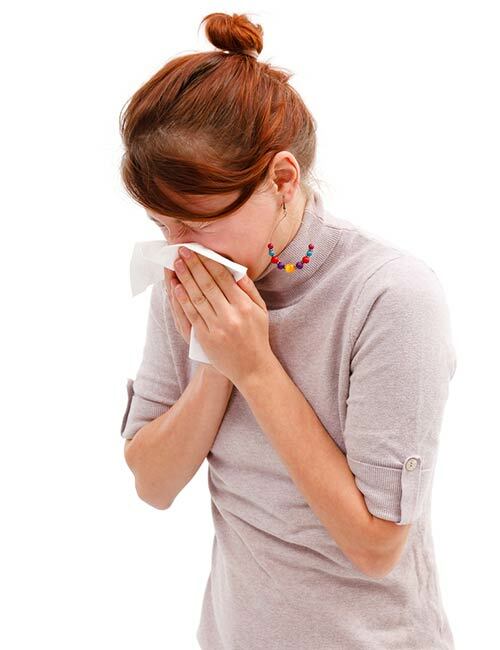 A frequent cough can be due to flu, cold, or pneumonia. So, get a thorough check up done before the condition deteriorates. Skip the gym or exercising at home as any strain to the airways or lungs may have a bad effect on your health. Besides, a frequent cough is a symptom of airborne disease, and it can be contagious. Take rest and some medicines before you do any physical exercise. It is clear from the information given above which situations are ideal for exercising and which are not. But what kind of exercises can you do when you are sick? Find out next. Basically, you should do slow movements so that you feel good after your exercise session instead of feeling weaker than before. Now, take a look at the exercises that you must avoid while you are sick. Stay away from exercises that require strength and endurance. Also, keep the climate in mind. If it is cold or cloudy outside and you are suffering from cold or flu, it is best to avoid going for a walk. Think things through before making a decision. Now, let’s go back a little and find out why exercising is good and/or bad for you when you are sick. How Does Exercise Affect Immunity? Exercising can help improve immunity and prevent various life-threatening diseases. The immune cells block and prevent the foreign pathogens from attacking the healthy cells. 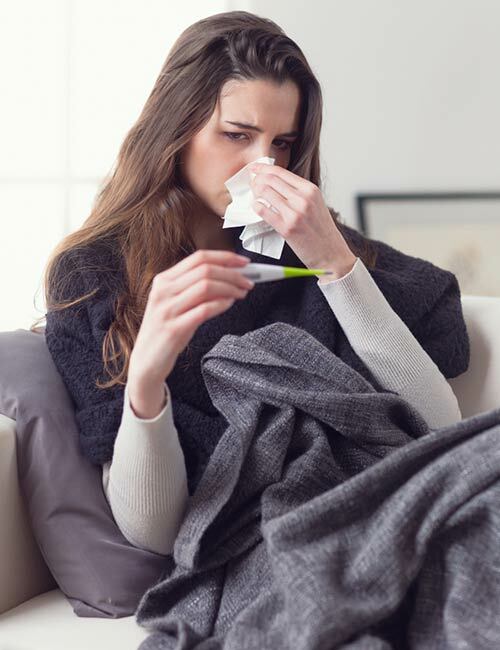 Inactivity and poor eating habits can lead to a compromised immune system, making you susceptible to cold, cough, and flu. On the other hand, being too guarded and protected from the environment can also prevent you from developing immunity (acquired immunity) from various pathogens. Going out for a run or walk or exercise in the gym makes your muscles go through a certain degree of breakdown, and when you rest, they build themselves bigger and stronger. Additionally, your immune cells become more active and start producing antigens against various pathogens in the environment. So, you must exercise regularly to build your immunity. However, when you are sick, you must keep the following guidelines in mind. Decide whether or not you should be exercising depending on whether the symptoms are below or above your neck. Do light stretching and yoga. Take rest between the stretching exercises. To conclude, exercising is a great way to boost your immunity, but you must be careful when you are sick. Pushing yourself to exercise when what you really need to do is rest can weaken you further. Rest is also important to recover quickly. So, make an informed decision by following the guidelines in this article, and you will start feeling better soon. Take care.